Cottage cheese has the ability to be fully absorbed by the body, while not contaminating it with various harmful dyes and additives. Cottage cheese contains phosphorus, necessary for proper growth of bones and useful for people with fractures and those suffering from diseases of the hematopoietic system, hypertension, heart disease, as well as with rickets, renal diseases and hypertension. The milk protein, which is part of cottage cheese has a great nutritional value and can be an excellent alternative to animal proteins. Amino acids that are contained in cottage cheese prevent the development of liver disease in the B-vitamin complex and helps preventing atherosclerosis. Cottage cheese is an indispensable product for elderly people who have symptoms of purine metabolism irregularities. Cottage cheese has a beneficial effect on the nervous system, improving its regenerative ability. 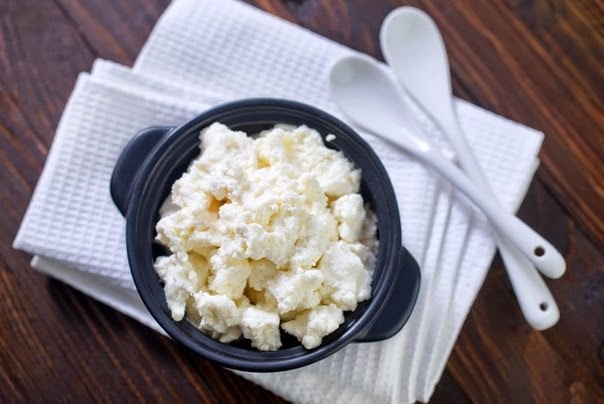 The healing properties of cottage cheese are necessary for normal metabolism, for the prevention of anemia and of obesity. Low-fat cottage cheese is a valuable dietary product and is ideal for regular inclusion in the diet and the use in case of such conditions as tuberculosis, anemia, low back pain and hypertension.